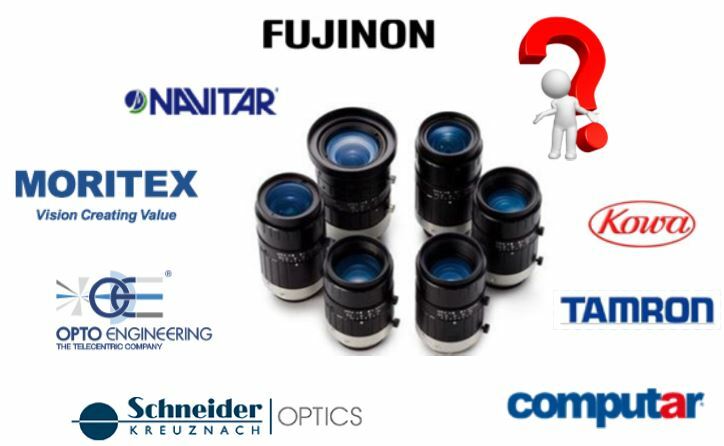 Optotune lenses solve a machine vision industry problem! Machine Vision applications requiring the inspection of objects at various heights can become a challenge as normal lens have limited depth of field. Objects outside of the depth of field become out of focus, limiting the vision application. Historically, a lens with motorized focus adjustment would be implemented adding complexity, cost and long cycle times. In reality, this challenge is applicable to any imaging application requiring refocusing due to various lens working distances. 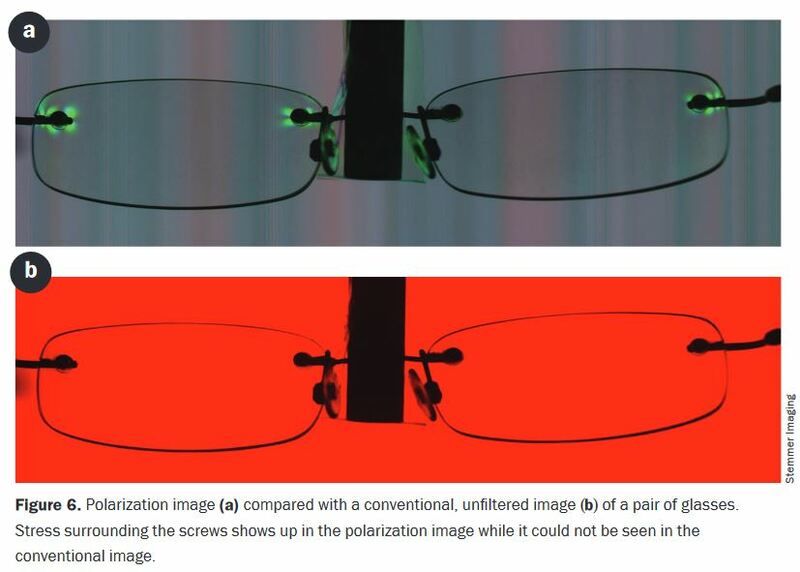 Optotune Focus tuneable lenses solves this problem eliminating motorized zoom lenses or manual intervention. Adding an Optotune tunable liquid lens to the optical system on a standard C-mount lens and camera, allows refocusing of the imaging system on the fly. When used in conjunction with distance sensors, its possible to inspect objects of various heights, refocusing within 15 milli-seconds. 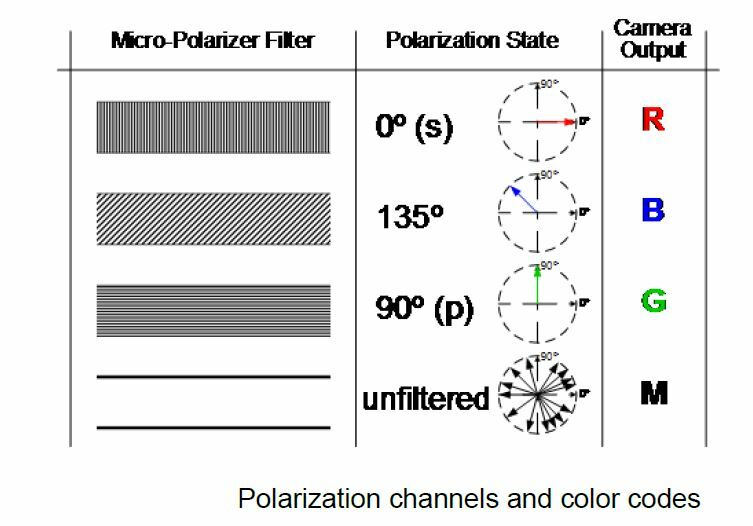 For example, vision systems using 8mm to 50mm focal length lenses can be equipped with a tuneable lens in the front, typically mounted on the filter thread. In this configuration it is possible to focus from infinity down to about 100mm or less if spacers are added. 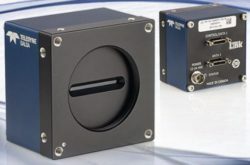 This solution can be applied to industrial machine vision applications, ophthalmology, laser, microscopy, postal, packaging and laser applications to name a few. 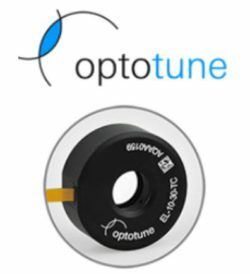 Optotune’s focus tunable lenses are shape-changing lenses based on a combination of optical fluids and a polymer membrane. The core element consists of a container, which is filled with an optical liquid and sealed off with a thin, elastic polymer membrane. A circular ring that pushes onto the center of the membrane shapes the tunable lens. The deflection of the membrane and with that the radius of the lens can be changed by pushing the ring towards the membrane or by exerting a pressure to the outer part of the membrane or by pumping liquid into or out of the container. Optical systems can be designed more compact, oftentimes with less lenses and usually with less or no translational movement. Weight and volume is reduced in the system. Fast response time of systems, down to the order of milliseconds. 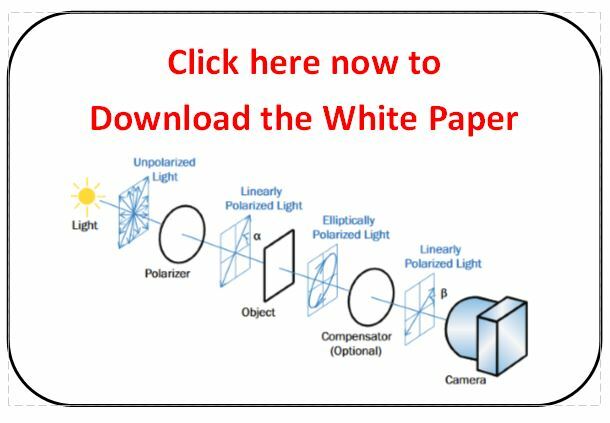 This white paper will review the overall principles of tunable lenses, response times, wavefront quality, drive methods, and applications. Contact 1stVision for a quote on Optotunes lenses and discuss an overall solution with cameras, lenses and lighting if required. 1st Vision has a white paper to help in the lens selection and provide valuable knowledge on various topics to make the best decisions. Learn the 10 key things you need to know in selecting a lens for machine vision cameras. Download the white paper now! Background basics on lenses and what they really do! What are extension rings used for? How many pixels do I really need? What does the “lens format” mean? How to get some practical advice! 1st Vision has many other resources in our educational blogs. Please find related links to lenses below. We are happy to discuss your imaging application in details – Just contact us! Macro lenses vs Extension tubes – What provides the best results? A successful, cost-effective application of a Machine Vision system is often dependent on the interplay of many individual elements, including machine vision lighting. As much as an Light Emitting Diode (LED) appears to be a basic electronic component, driving it in a fashion suitable for machine vision applications is non-trivial. LED’s have become the staple in industrial imaging applications in which consistent illumination is key. In order to achieve constant illumination and synchronization with cameras, controllers from Gardasoft should be utilized. LED lighting controllers for over 15 years. 8 channel with advanced controls are available. Why use a LED Lighting Controller? LEDs are current driven devices. While LED Lights are specified as either 12V or 24V lights, the actual LEDs are semiconductor devices whose light output is a direct result of the current through the device, not the voltage. All LED device manufacturers specify that current control is advised for efficient use. Typically, LED datasheets will indicate that very small changes in LED voltage results in large changes in the LED current; and large changes in LED current results in large changes in light output intensity. Gardasoft LED controllers regulate the current, not the voltage, so that light output is stable, tightly controlled and highly repeatable. Controlling the current allows for precise control of the LED light output, with an additional benefit to users looking to overdrive their lights to increase light output. There are many advantages of accurate pulsing and over driving LED’s. However it is also extremely important to ensure LEDs are over driven safely to ensure long life and not catastrophic failure. Three trigger modes from constant, pulses and switched for various applications. How “SafeSense” technology determines the optimum current for consistent LED drive. Advanced and custom controller functions. Example – allowing multiple pulses at different intensity levels over various LED channels. 1st Vision has over 100 years of combined experience in industrial imaging and has a resident lighting expert on hand. Contact us for pricing on all Gardasoft controllers and suggestions on your vision and lighting application.